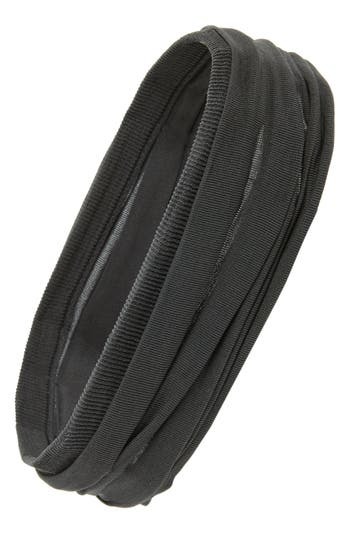 Skinny headband is crafted from braided leather for great texture. Several worn together put a cool twist on the layered look. Style Name:L. Erickson Braided Headband. Style Number: 234264. Available in stores. Marbled finish updates a chunky, brightly colored clip. 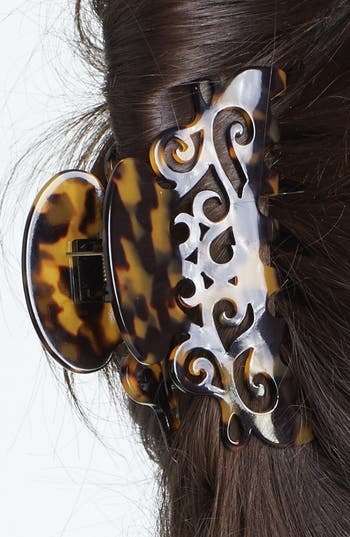 Style Name: France Luxe 'small Couture' Jaw Clip. Style Number: 396407. Available in stores. 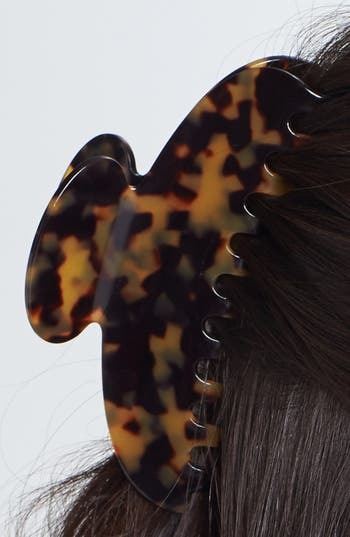 Those in the know swear by France Luxe's handcrafted hair clips, in particular the tige boule, or rod and ball, style clips that are ideal for fine, flyaway hair. The elegant triple-circle style is crafted in France from a lightweight acetate for a classic finish. 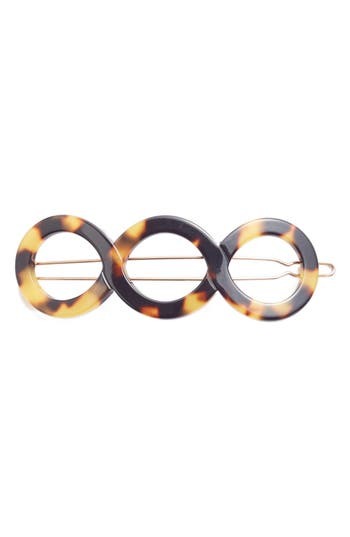 Style Name: France Luxe Triple Circle Tige Boule Barrette. Style Number: 1163288. Available in stores. 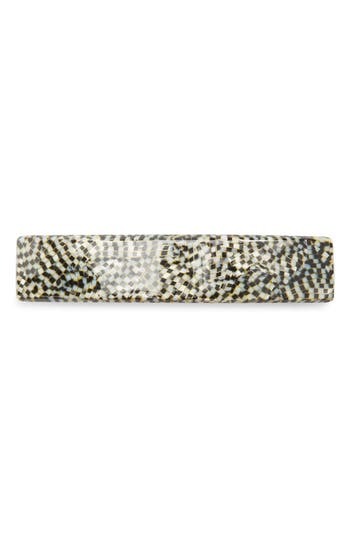 A marbled finish updates a subtle, chic barrette that's handmade in France. Style Name: France Luxe Long Skinny Barrette. Style Number: 1163305. Available in stores. 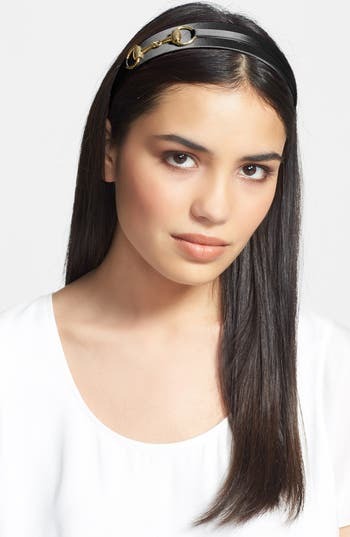 A thin headband crafted in France is cleanly styled for endless versatility. Style Name: France Luxe Skinny Headband. Style Number: 242160. Available in stores. 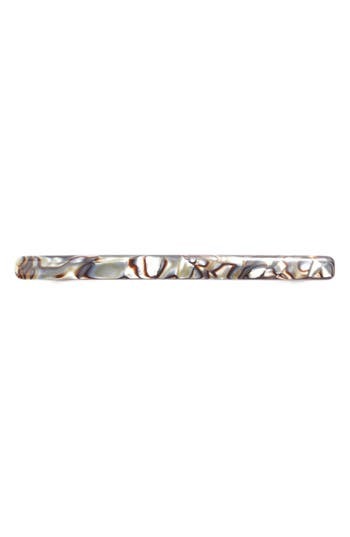 Marbled finish updates a rectangular barrette in classic colors. Style Name: France Luxe Rectangle Barrette. Style Number: 291808. Available in stores. Marbled finish updates a chunky clip in classic colors. 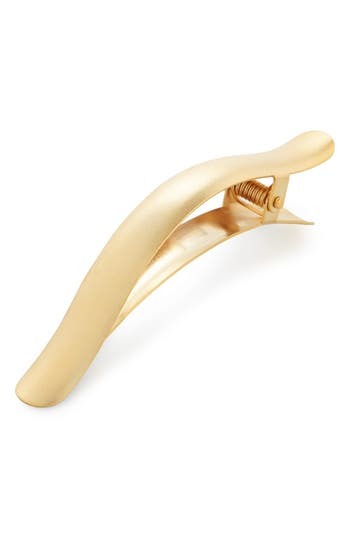 Style Name: France Luxe 'Couture' Jaw Clip. Style Number: 291811. Available in stores. Crystal sparklers light up a skinny headband. 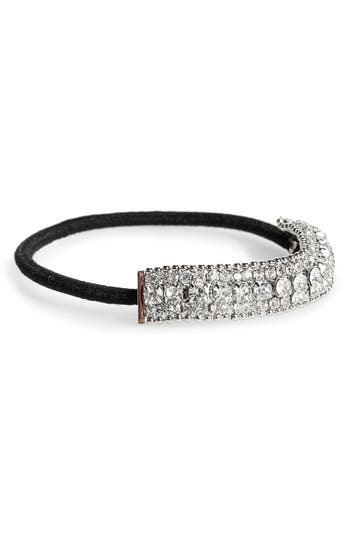 Style Name: Cara Skinny Crystal Headband. Style Number: 546972. Available in stores. Pearly beads decorate a dainty headband. 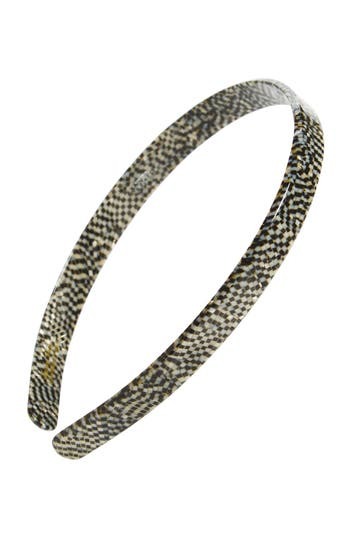 Style Name: Cara 'skinny Pearl' Headband. Style Number: 546976. Available in stores. 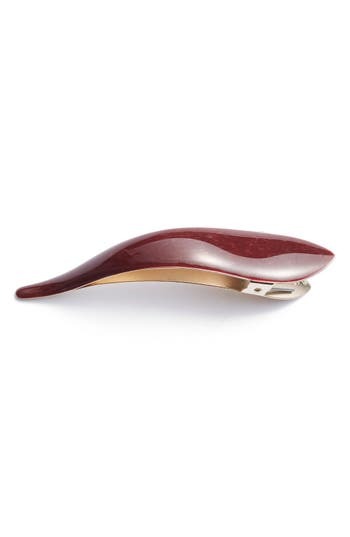 A sleek, handcrafted clip polished to a lustrous sheen catches extra-thick tresses with couture style. 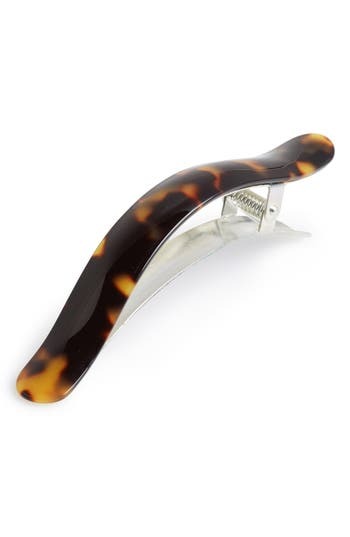 Style Name: France Luxe 'Jumbo Couture' Jaw Clip. Style Number: 695633. Available in stores. 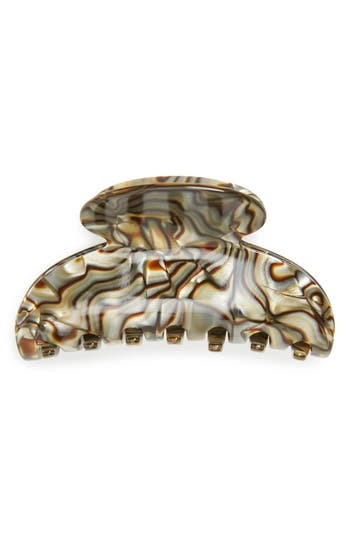 Rococo flourishes style an elegant hair clip with a glossy, marbled finish. Style Name: France Luxe 'Elysee' Jaw Clip. Style Number: 696362. Available in stores. 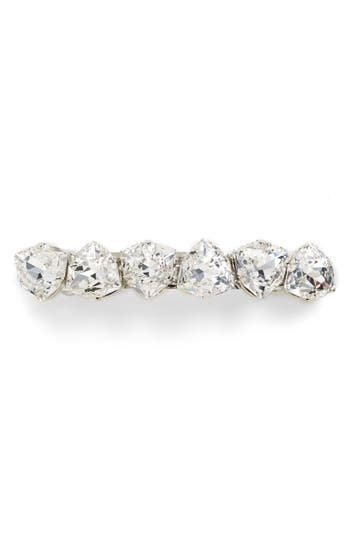 Huge, faceted rectangular crystals catch the light on a sparkling jeweled barrette. Style Name:L. Erickson 'swarovski Treasure Trove' Barrette. Style Number: 941194. Available in stores. 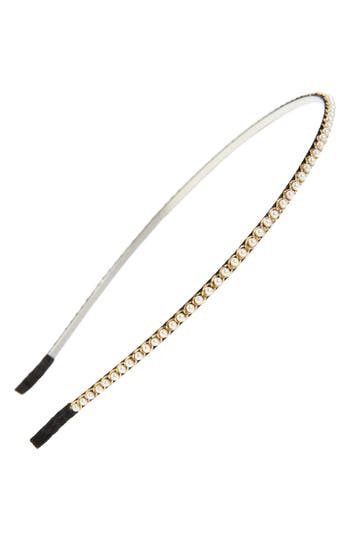 Equestrian hardware polishes a sleek, elegant headband hand sewn in lustrous silk charmeuse. 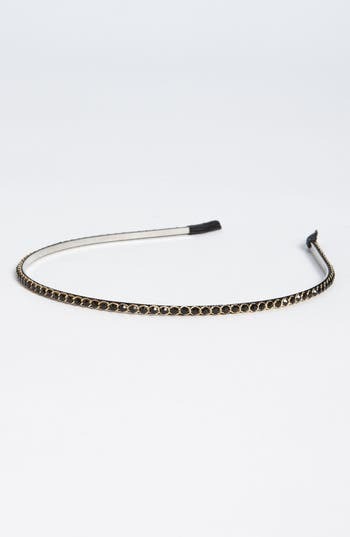 Style Name:L. Erickson 'Bit' Headband. Style Number: 990086. Available in stores. A vintage-inspired head wrap features two twists of soft, lightweight fabric that you can scrunch or stretch to a variety of widths, making it not only versatile, but comfortable, too. Style Name:L. Erickson Relaxed Turban Headband. Style Number: 264620. Available in stores. Twinkly crystals catch the light on mixed-finish bobby pins that are just the thing to accent your updo. 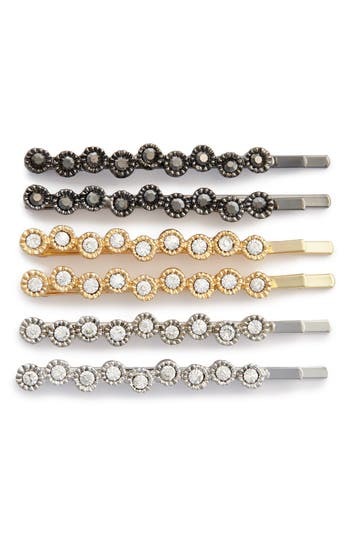 Style Name: Tasha 'sparkle' Bobby Pins (6-Pack). Style Number: 833043. Available in stores. Just in time for party season, this sparkling Swarovski crystal-set barrette will add the perfect accent to your sleek updo or side-swept bangs. 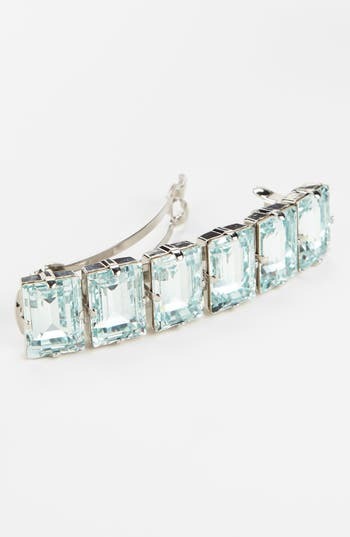 Style Name:L. Erickson Swarovski Crystal Barrette. Style Number: 1044448. Available in stores. 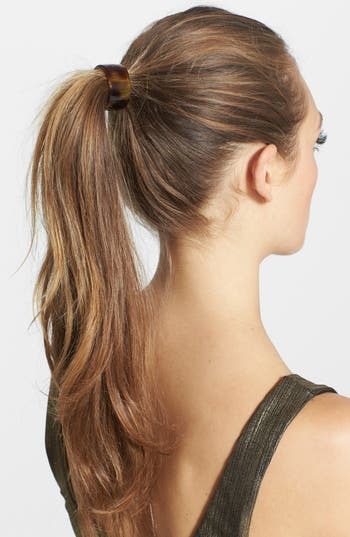 Add a dash of flash to your ponytail with a holder that features three tiers of radiant crystals edged with a delicate ball chain. Style Name: Cara Crystal & Ball Chain Ponytail Holder. Style Number: 1135956. Available in stores. 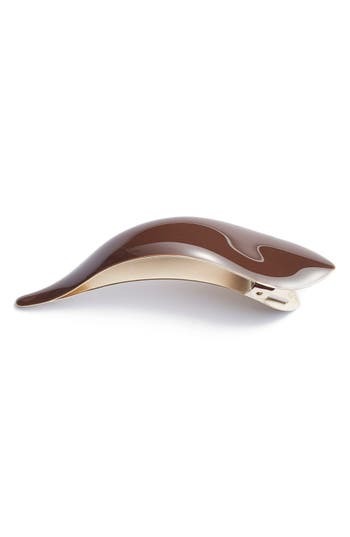 Sleek lines and polished enamel define a handmade hair clip that finishes your look with effortless sophistication. Style Name: Ficcare Maximas Silky Hair Clip. Style Number: 1144585. Available in stores. 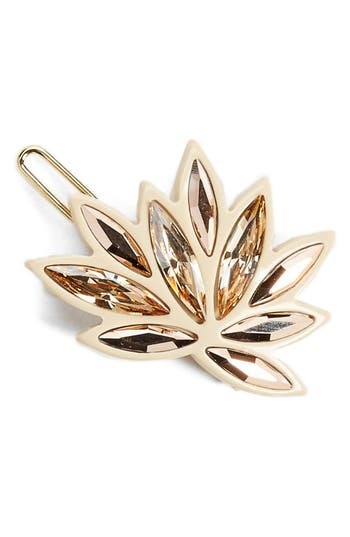 A sleek hair clip all aglitter with sparkling crystals will bring refined style to your everyday look. Style Name: Tasha 'Chic Shimmer' Barrette. Style Number: 5045383. Available in stores. Beautifully faceted crystals sparkle atop a delicate claw hair clip, lending a little bit of sparkle to even the most casual of updos. Style Name: Tasha Crystal Embellished Hair Clip. Style Number: 5108520. Available in stores. 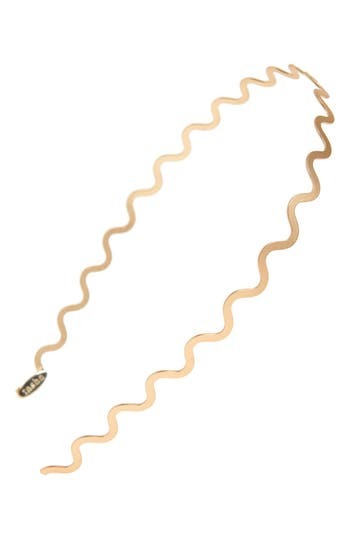 A slender golden headband slithers sleekly across the hair, lending modern polish to even the most windswept of locks. Style Name: Tasha Wavy Metal Headband. Style Number: 5108562. Available in stores. 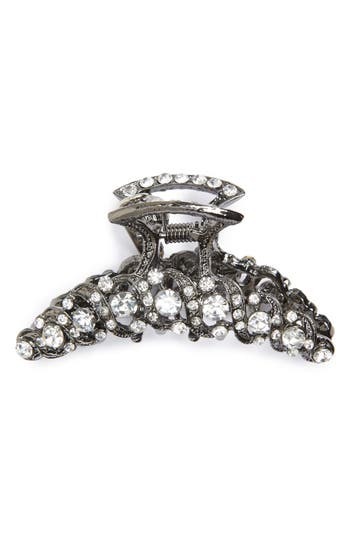 A radiant burst of glimmering crystals lends Art Deco gleam to a slender gilt barrette. 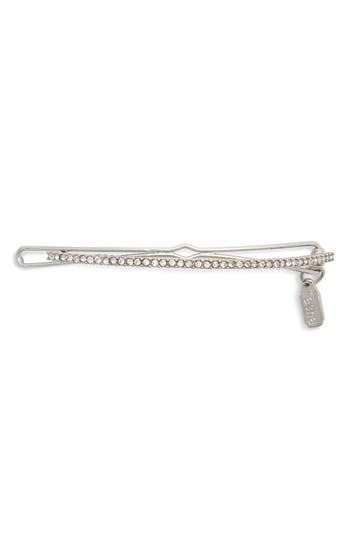 Style Name: Alexandre De Paris 'Eclat' Small Crystal Barrette. Style Number: 5081795. Available in stores.